After a smash hit with “Just Got Started Lovin’ You” it seemed as if James Otto would be a run away success, however his follow up singles proved to be less than successful. So in an attempt to rekindle the flame he lit with his breakthrough hit, Otto brings back that romantic and smooth feel that seems to fit him so well with his latest release. “Since You Brought It Up” is every bit of the romantic come and get me love song that “Just Got Started Lovin’ You” was. it’s well written, smooth and fluid, and it presents a aura of experience and true feeling that only James Otto can present in a song like this. However, there lies it one and only real flaw, it is what people want to here. The striking relation between this and Otto’s breakthrough hit is actually as little to close for comfort and while it does nothing to degrade the song itself, it doesn’t really show much of what Otto can do as an artist outside of these kinds of songs. I look forawrd to seeing this song hopefully bring Otto back to his prime, but I am a little disapointed that he chose to shift backwards to a familier feel and concept to try and do so. While this song is a great mid tempo ballad that suits James very well and presents what has become a signature style for him, it leaves to question whether or not he can really keep up with the big boys when he does shift from these types of songs. Love or hate his sometimes awkwardly fitting and unique vocal style, Luke Bryan has defiantly grown a lot since his debut as a writer. Following up his successful debut, Bryan takes a new turn on his newest release by shifting from the party-anthems and country pride songs to a more sentimental one, a love song in fact. Actually Bryan’s newest single isn’t much of a love song at all, it’s more of a longing for love song really. Bryan takes the character of a man questioning whether or not he still does it for his girl, and asking her if she still loves him and if it’s still work it to try and make it last. With it comes a power and an angst that, up until now, we had yet to actually hear from Bryan considering the material on his debut album was mostly upbeat and pertaining to life rather than love. There isn’t much wrong with this song other than the fact that it’s pretty generic. it’s nice to hear something different from Luke and see him explore new boundaries, but this single might find it difficult to compete with the many other ballads radio has taken in. Still, that doesn’t mean it’s underserving of the attention. Far from it. In fact, in my personal opinion, this is one of Luke’s best and shows a lot of potential and growth in what he is willing and able to do as an artist. It’s hard to tell where new group Gloriana is going to land in the spectrum of country music. They’ve been touring with Killie Pickler and Taylor Swift, yet they’re debut single is a rather mature and rather mature summer fun song that has the potential to put them in good company. This quartet’s debut single “Wild At Heart” is an upbeat and well harmonized piece of country music gold in its own right. Filled with upbeat country musical composition and a tow tapping melody that is actually rather addicting, there is no reason to think that Gloriana don’t have what it takes to compete with the best of them. The song itself is a fun and upbeat summer love tune that takes full advantage of the band’s four part harmony, even letting former solo artist Cheyenne Nichole Kimball (one fourth of the group) steal a solo from the guys as it progresses. There’s not much to criticize here. Although it tends to follow the typical feel and conception of what has become known as the conventional production for a country radio single, Gloriana’s debut effort is one to really look into. It’s entertaining, it’s well conceived as a group number, and it manages to hook the listener right in with an unmistakable beat and a great feel good quality to help hold it up. Only time will tell if Gloriana will be the next Little big Town, but “Wild At Heart” helps point them in the right direction. 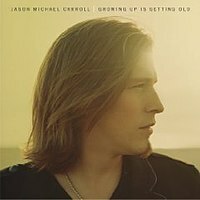 Jason Michael Carroll’s sophomore album, which he considers a career making project, Is definitely an interesting one to say the least. The long haired “Alyssa Lies” singer attempts to follow up his debut album with a project of more casual tunes that attempt to capture that same majesty his debut album provided, but how well does it work? Carroll’s second album falls a little short of the quality of his debut project, a common ailment for sophomore albums, for one huge reason. This time around Carroll is much more in tune with radio friendly and saleable material more than just simply good material. This is evident through his first offering from the album “Where I’m From” which offers a popular and relative subject matter without the accuracy of a great piece of songwriting to back it up. However, this seems to be a rather common downfall for even the most experienced artists these days, i.e. 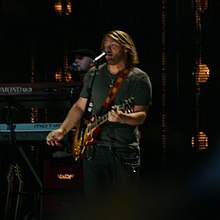 Keith Urban, so it would be foolish and unfair to judge this album purely on this factor alone. I’ve said it before and I’ll say it againand again, Miranda Lambert is a master of her art. many barely even acknowledge her former run on Nashville Star, even she has thrown that out the window, but this former reality show no-body continues to prove she’s a deserving Nashville somebody with her latest heartbreak single “Dead Flowers”. Lambert has a thing for good hooks about bad things. Her latest offering is no different as she plays a woman who compares herself to the dead flowers her former lover brought home, along with a few other things that remind her of him. In the end all she feels like are those dead flowers after the relationship, worn out a used up. Lambert loves to trek into territory like this and turn the tables on an interesting scenario. Of course her great taste in songwriting style and her ability to make anything, including kerosene, a believable and effective message that’s hard to ignore. There isn’t much else i can say on this one. Lambert’s newest single just continues a line of amazing offerings from the once underestimated hitmaker. Eventually she will get what she deserves from country radio, and what better time than now. After debuting her new single for Valory Records on the ACM Awards, Reba’s newest single has already soured into the top 40 on the charts, but does it stand up to the credentials of this country music diva? In true classic country tough girl form, Reba tackles the concept of a broken heart from a tastefully optimistic perspective. “Strange” is anything but, actually I believe that is rekindles the flame that used to be the powerful and masterful career that Reba had in her prime. The story of the song revolves around Reba’s character, a woman suffering from heartbreak, but after all the crying and pain she wakes up the next morning to find that what she thought was impossible actually ended up happening, she got over the man she thought she would love forever. With a beat that will make even the most heartbroken woman jump up and wanna feel like Reba, “Strange” is surely effective and leaves a lasting impression for some time. It may seem a little generic considering all the fuss that was made about its release, but Reba’s return to country radio solidifies once more her reputation for being a true country diva. heck, this song could probably give Miranda and Carrie a run for their money, all Reba has to do is wake up, that’s her revenge and there’s nothing sweeter than that. OK, so I’ll be the first to admit that I’ve been harsh on the teenage crowd of singers like Taylor and Miley. ironic actually, due to the fact that I myself am only 19. However, Swift has continuously proven me wrong as to the quality and maturity that stars of her caliber actually have, and she does so once again. In her follow up to “White Horse”, Taylor takes a more upbeat look at love as she instead decides to try and sway over the man, not push him away. Speaking through her teenage experience as a high school outcast, Swift takes the character of a teenage girl watching the man of her dreams with the girl of her nightmares, but instead of burning pictures or crying about it she relates herself to the other girl who is in the more popular and opposing click to Swift’s. Using this information she explains to the boy that he belongs with her, the one who knows him, cares about him, and wants him not as a trophy, but as a truly dedicated significant other. Not only does Swift write it, perform it, and play it masterfully, but she makes it real and, to a certain extent, entertaining in a way both comically and musically. Taylor may have her down moments where she relates more to a 10 year old pop fan than her original country music fan base, and grated she’s been in more Rolling Stone issues than any country magazine, but it’s moments like this that remind us why she is so successful, and why she actually does deserve a lot of the credit she has been getting lately. Love her or hate her, she knows what she’s doing.